Summer’s almost over, but that’s all right. When the rains come back this fall and winter, you can find a comfortable chair under a good reading light and lose yourself in the wilds of Wyoming and the life-threatening adventures of Joe Pickett. That’s the name of the Wyoming game warden who is the protagonist in the thrillers by C.J. Box, who lives in and writes from the vicinity of Cheyenne. The latest of the 13 Box novels about Pickett, titled “Breaking Point,” came out this year, and the plot was inspired by a case of federal government overreach on the subject of wetlands. The Supreme Court decided that case in 2012, siding with an Idaho couple in their fight with the Environmental Protection Agency. 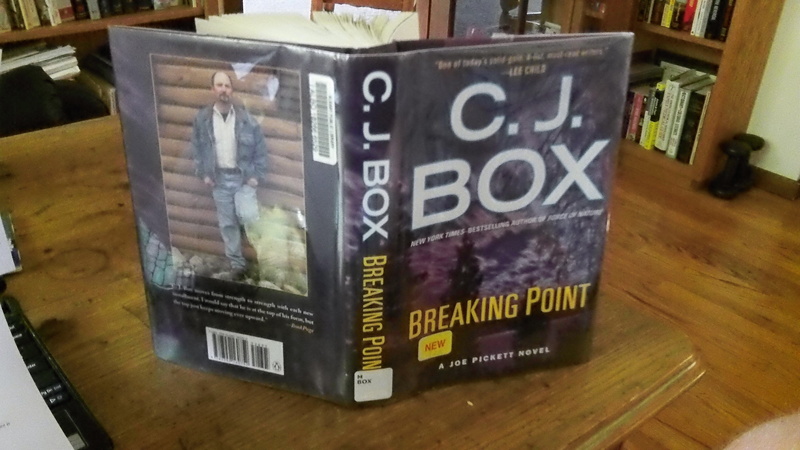 “Breaking Point” is fiction, but like in some of the other Box novels, the story revolves partly around the conflict between common sense and western values on the one hand and the follies of bureaucrats in the federal government on the other. What makes the books appealing is that the hero is a good family man under the same pressures as everyone else — a demanding job, worries about money, and issues at home. The Picketts have three adolescent daughters.